The Playgoer: Shakespeare Express or Local? 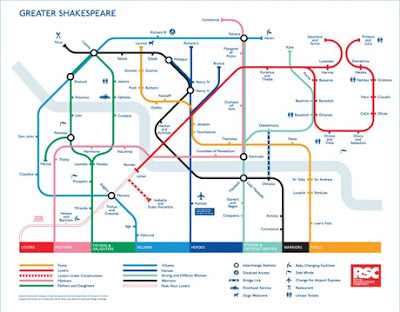 If you can't get enough of both Bardolatry and Anglophilia for one day, check out this "Tube Map" of Shakespearean characters. with Titus Andronicus, Tamora, Queen of the Goths and mother of the sons in the pie, marks a triple intersection where Villains, Mothers and Strong and Difficult Women meet.